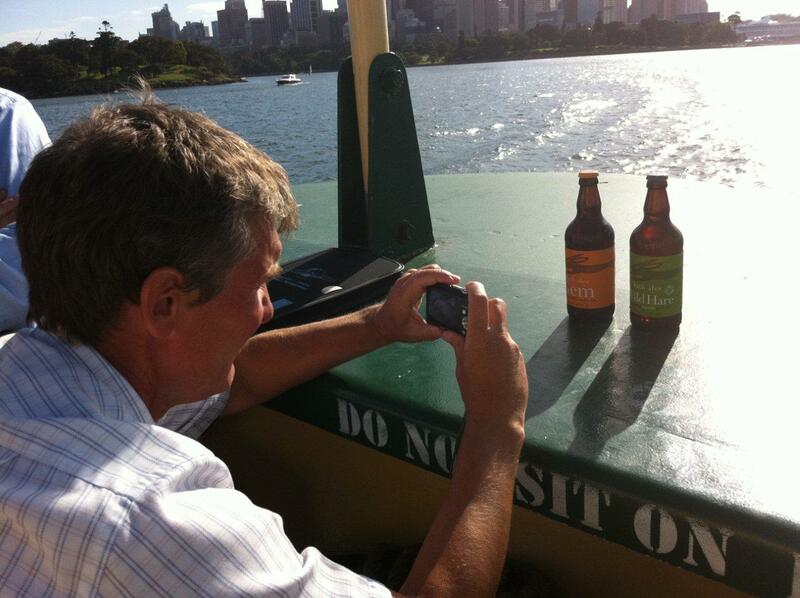 pommy_ch is a Back of the Ferry founder, correspondent and regular. Last night was his 21st birthday and after a couple of sherbets at an old city haunt, we celebrated pommy_ch’s coming age in the time honoured fashion – a couple on the Back of the Ferry. pommy_ch is a creature of habit, and whilst he imbibed all manner of brews in the Bristol districts – his BotF tipple is a longneck in a brown paper bag. pommy_ch will be soon visiting the South West of the Old Dart and has promised us a steady stream of reviews of ciders and ales accompanied by his wry observations of bucolic Bristolian life. Prior to the ferry, we blew the forth off at a couple at what this correspondent regards as one of Sydney’s worst pubs – the Settlement aka Sediment. 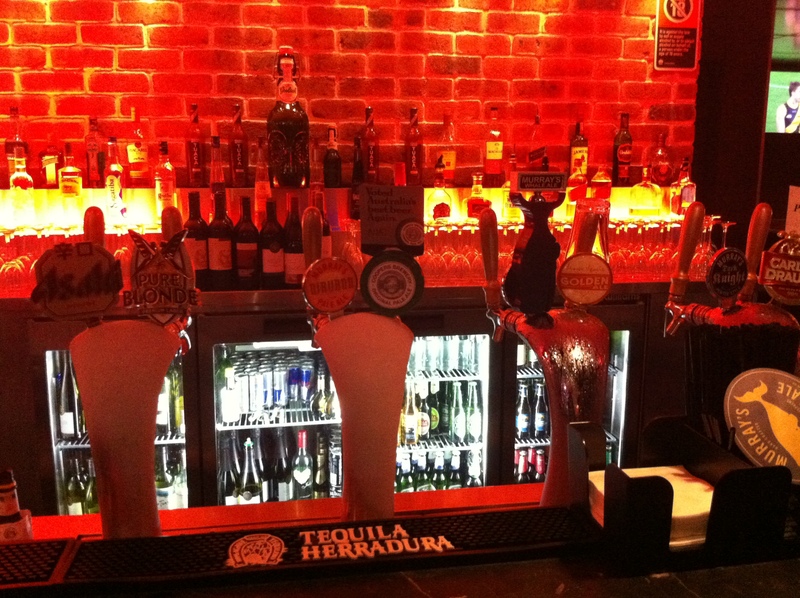 That opinion has been swayed substantially by the addition of 3 of Murrays Craft Brewing Company beers on tap – Nirvana, Whale and Dark Knight. Sediment remains an unaesthetically pleasing wind-tunnel, but huddled behind a couple of pints of Murray’s finest makes it bearable. Whilst pommy_ch stuck steadfastly to his normal tipple on the way, Mr Liquor threw bladdamasta and illiards a new bevvy to try. 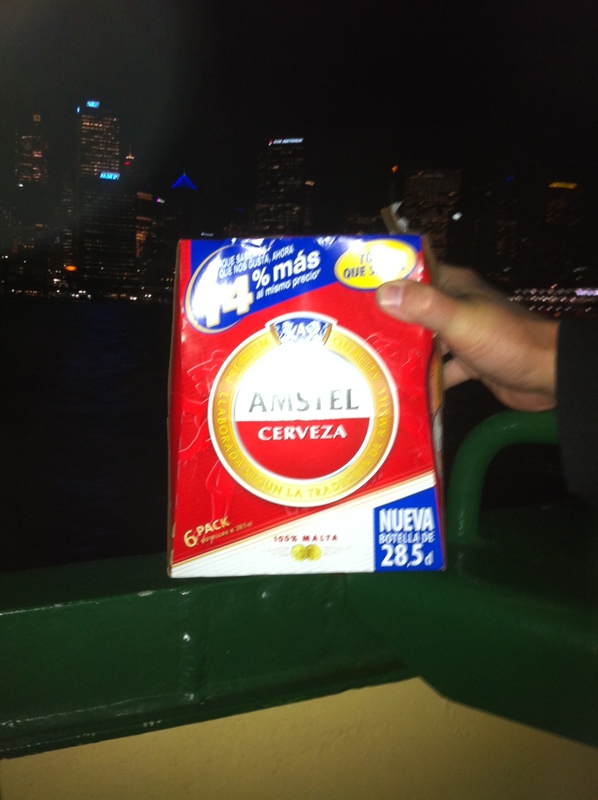 Mr Liquor has been beachcombing again and he’s turned up a pallet of Spanish Amstel. Recently, we had a six pack of Heineken Throwdowns, which were also from Spain. 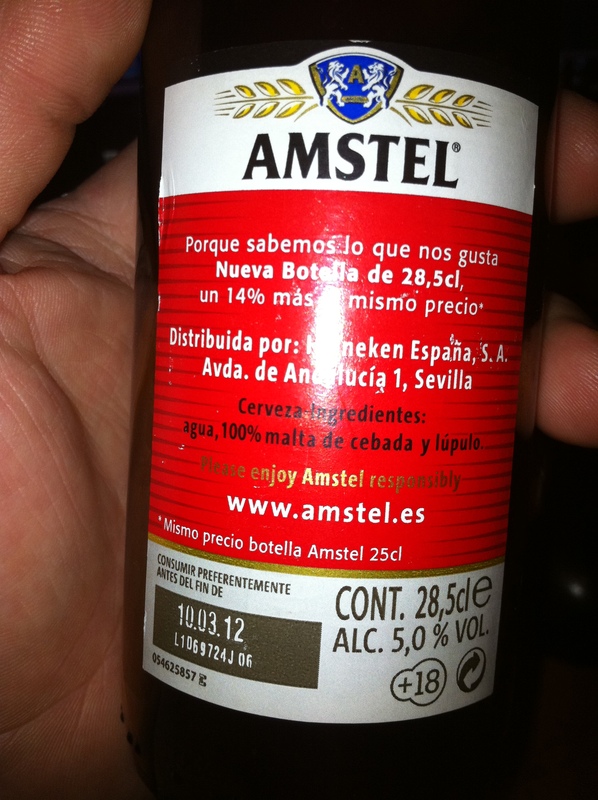 They might have fallen off the same ship, as Amstel has been made in the same place as Heineken now for many years. These throwdowns might be classifed as Super Throwdowns as they contain 14% mas than a traditional throwdown. Be careful what you wish for because it was 14% more really bad beer in every bottle.